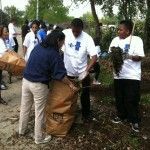 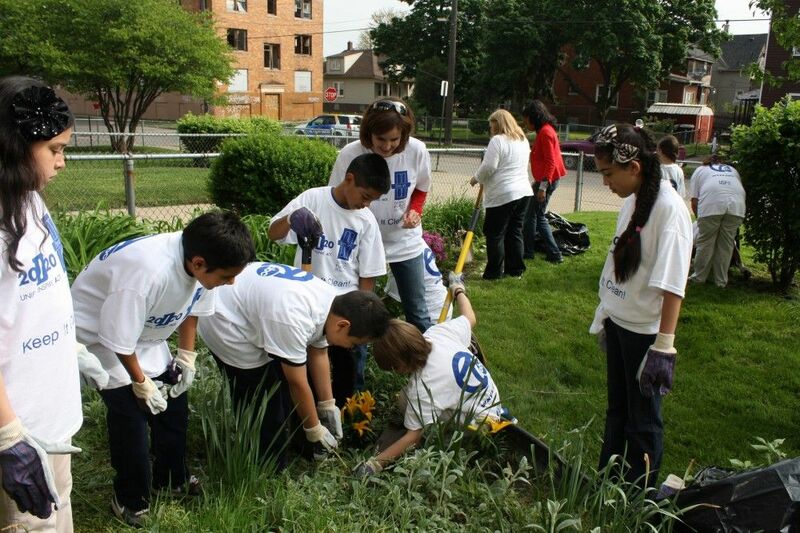 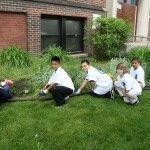 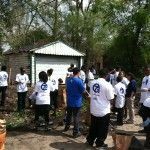 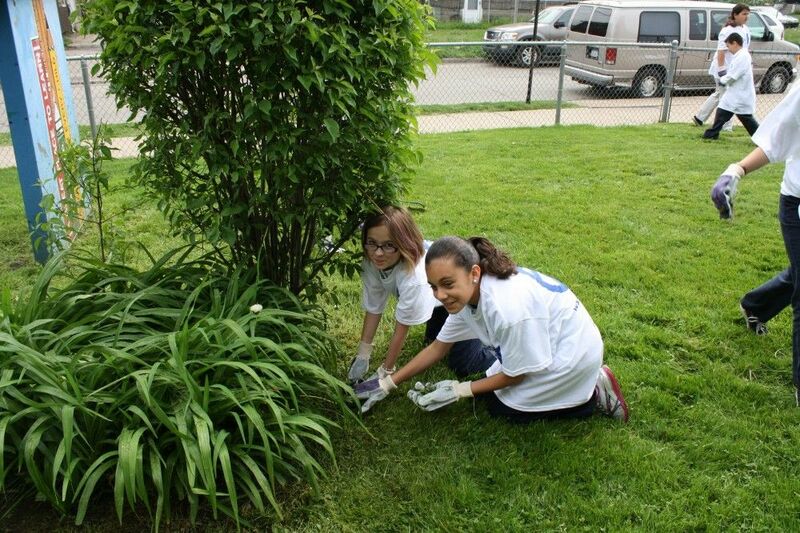 Students and staff members from Marion Law Academy, Bennett Elementary School and Schulze Academy for Technology & Arts completed clean-up and gardening projects to beautify their school grounds and adjacent property. 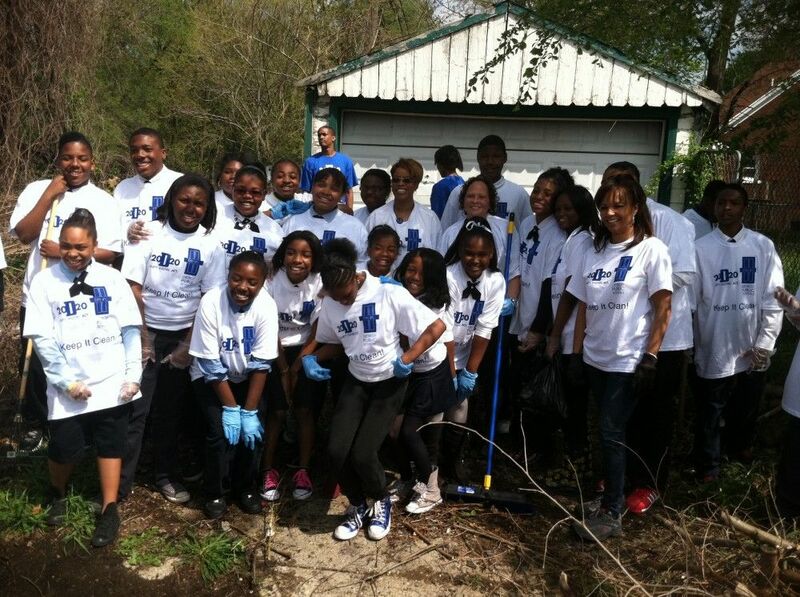 About 25 students and staff members from each school participated in the project. 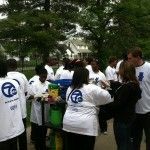 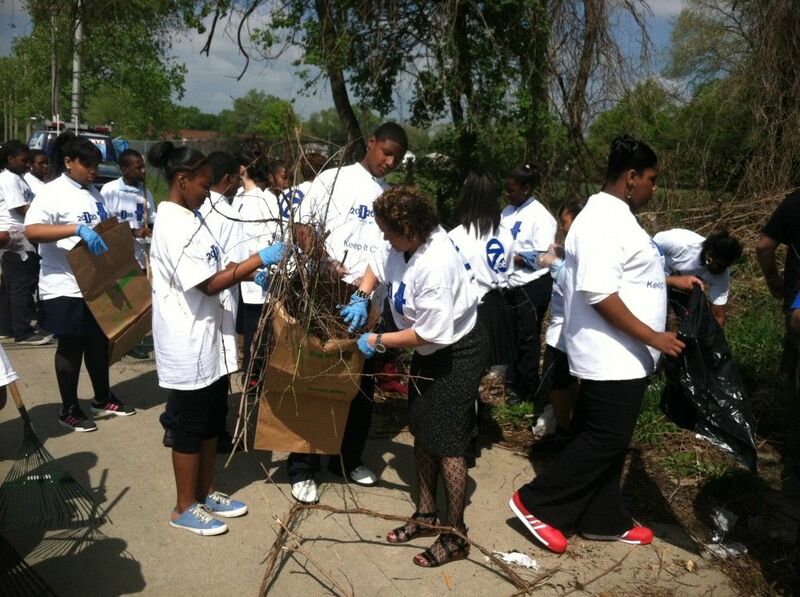 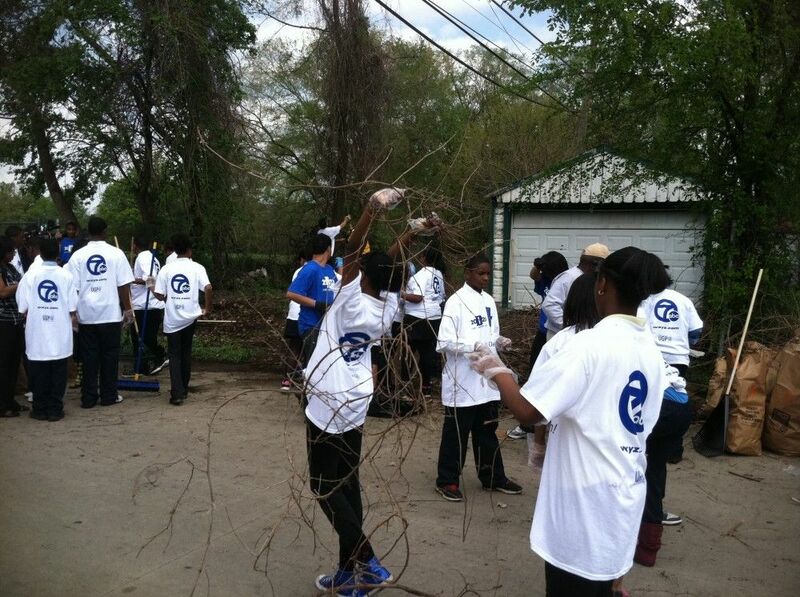 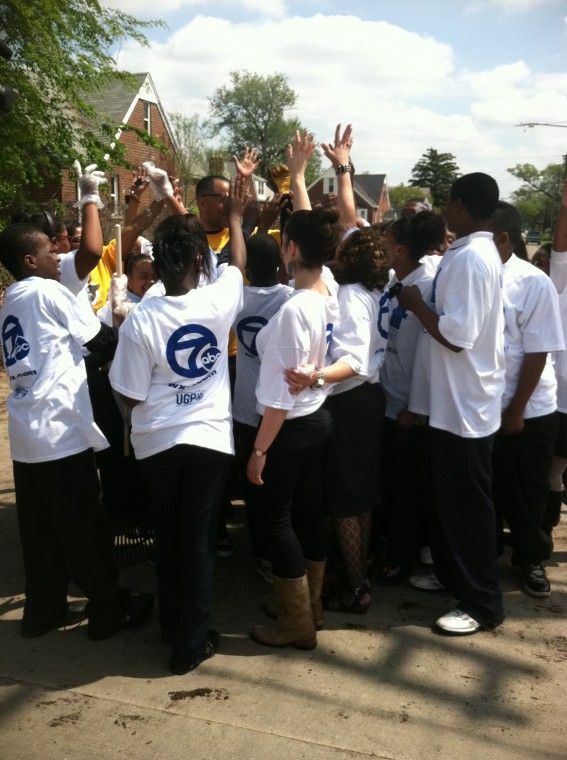 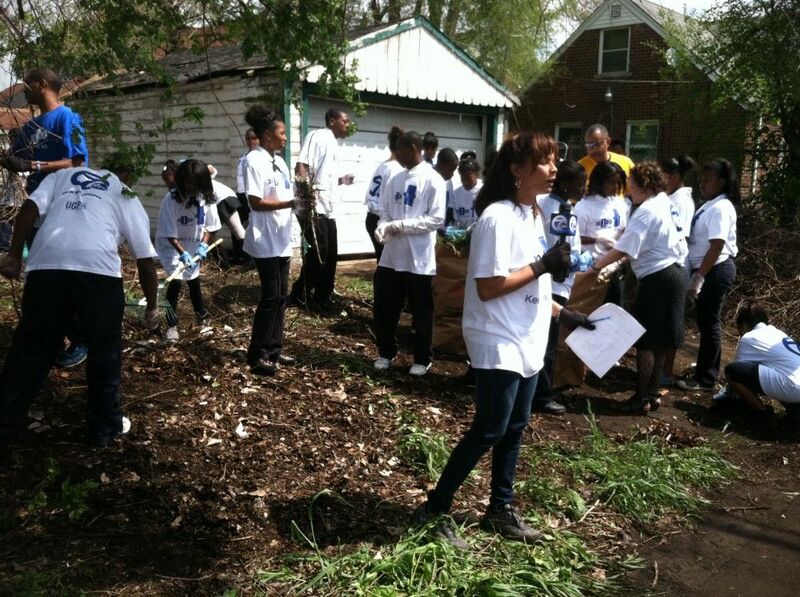 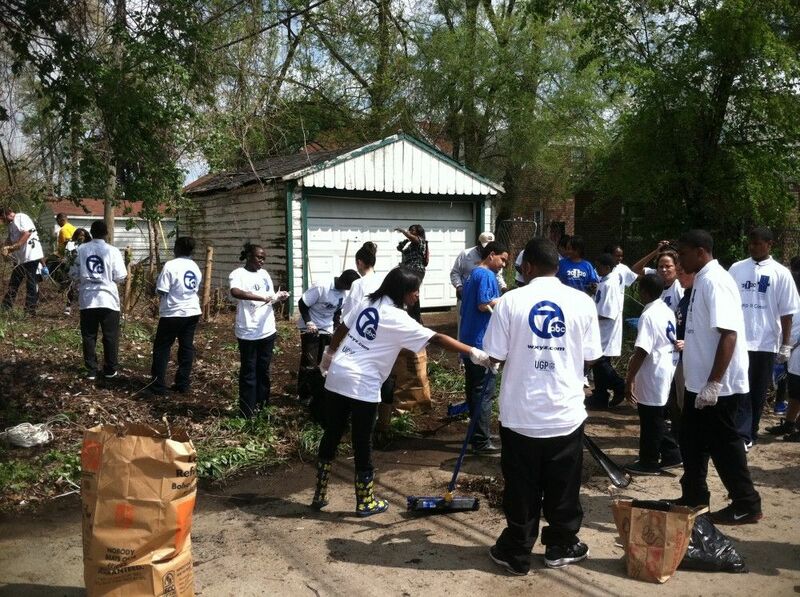 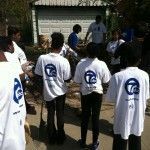 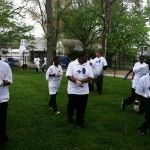 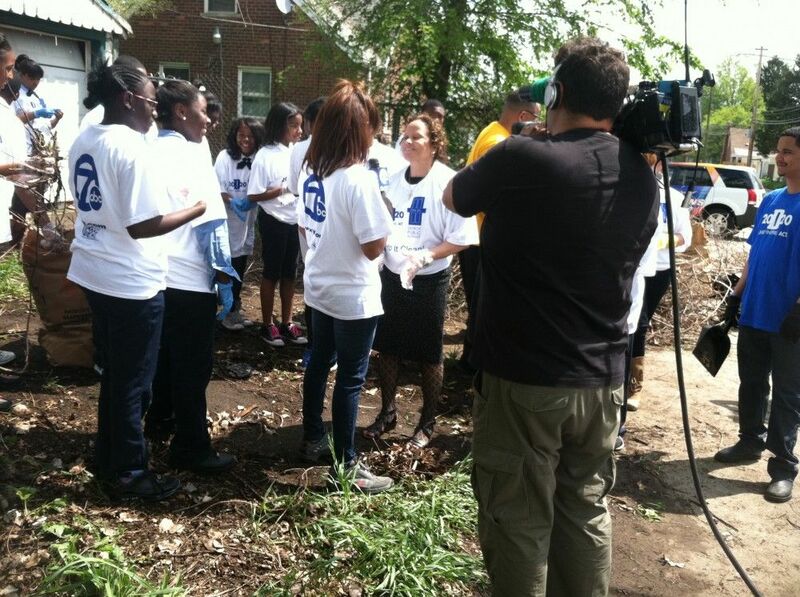 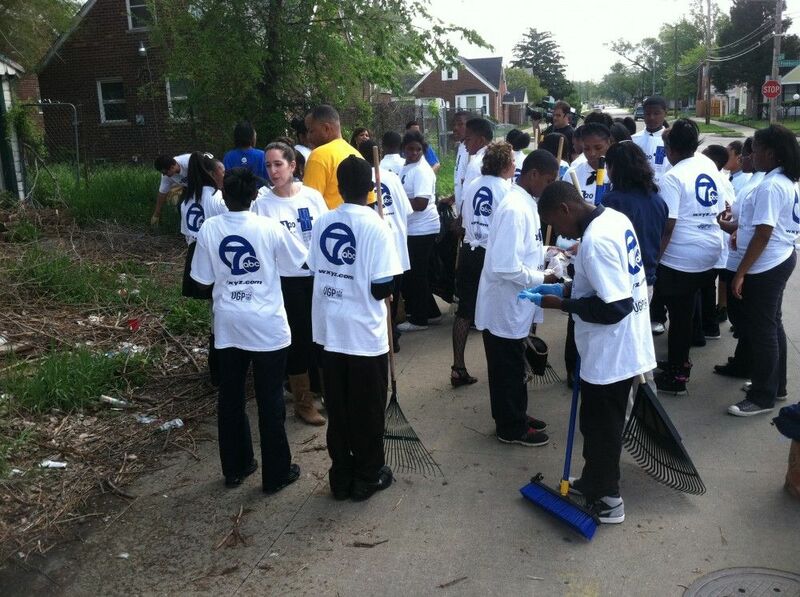 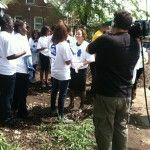 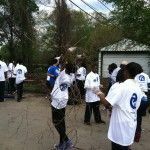 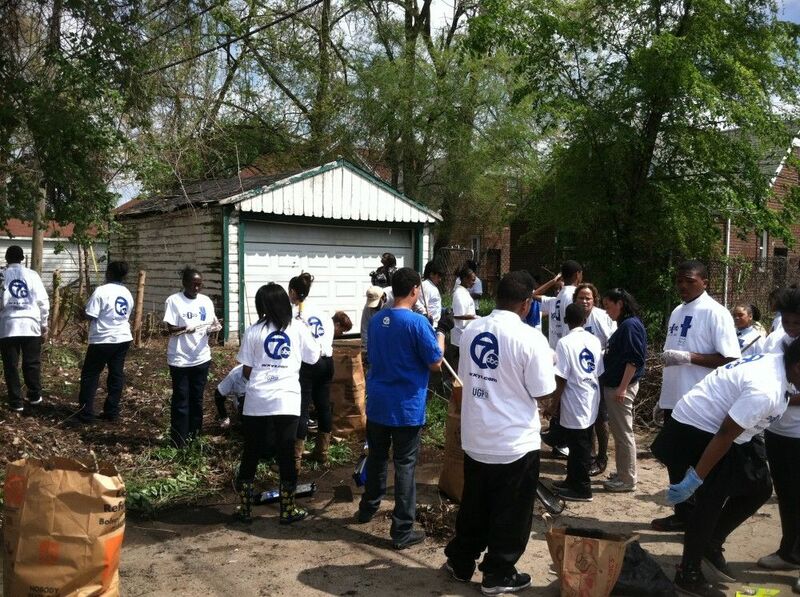 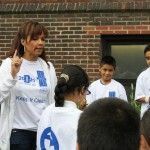 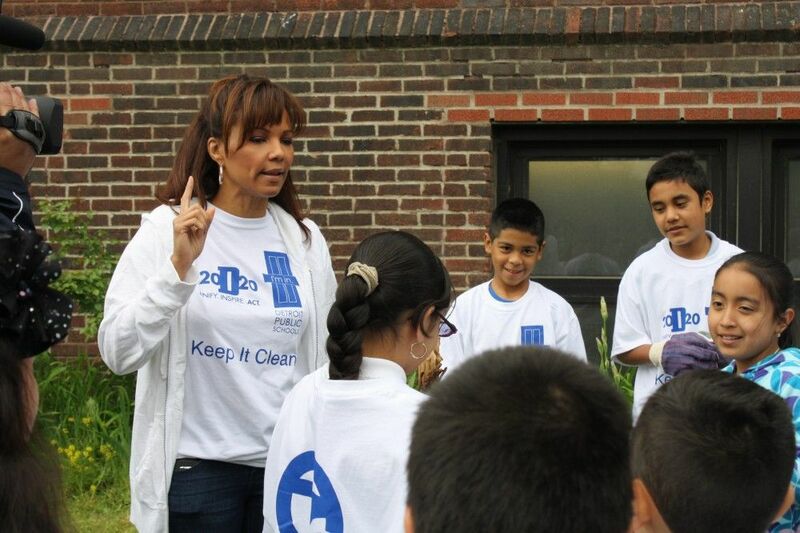 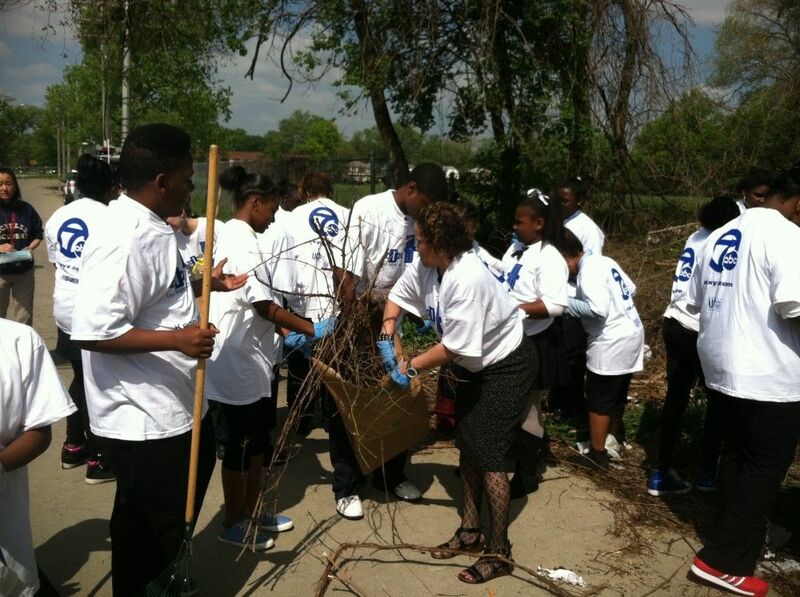 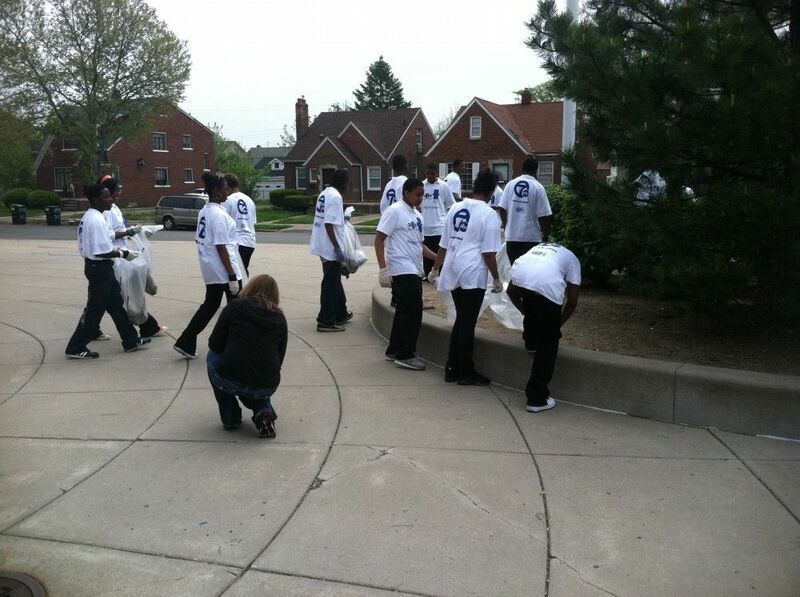 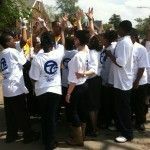 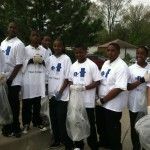 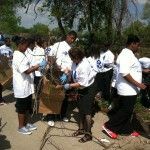 Carolyn Clifford, WXYZ anchor of the 7 p.m. and 11 p.m. newscasts led the initiative. 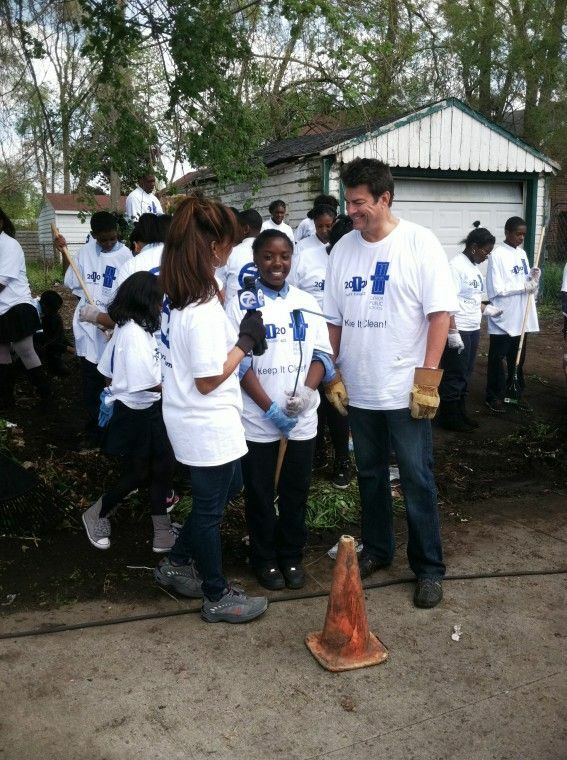 Clifford and JoAnne Purtan, co-anchor of WXYZ Action News at noon and 5 p.m., started their day at Bennett Elementary School. 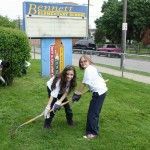 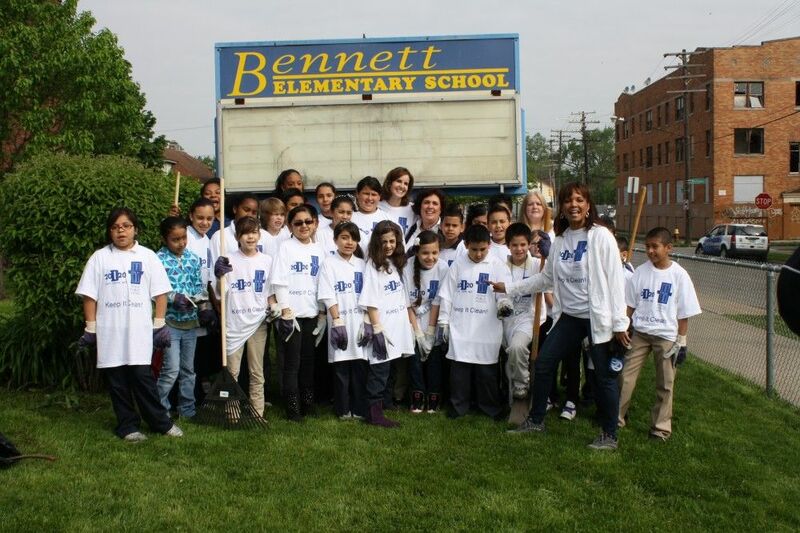 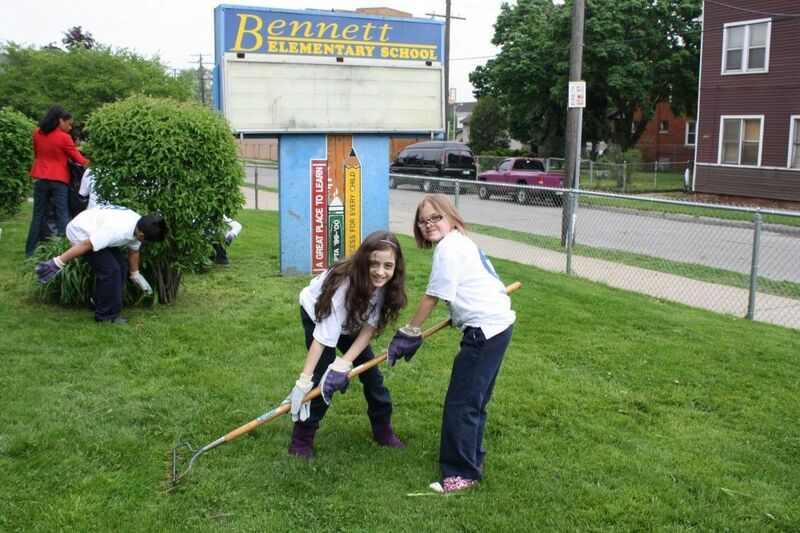 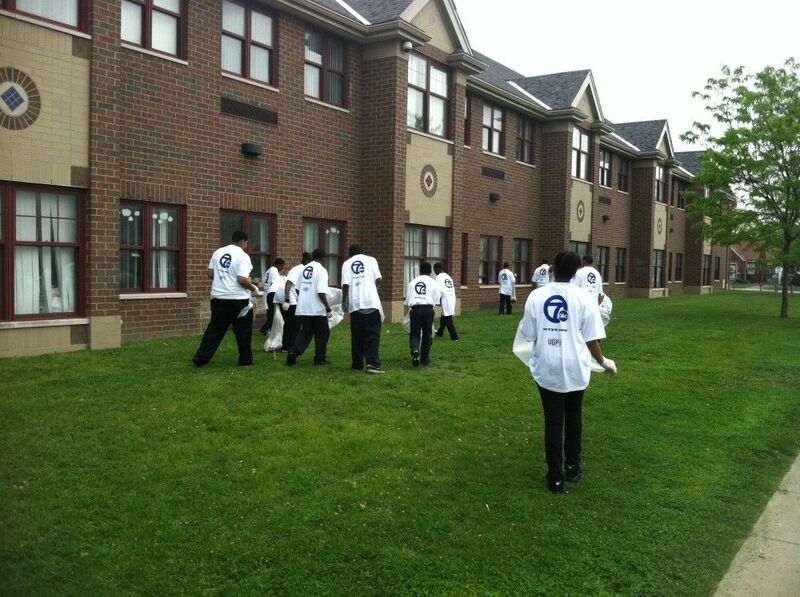 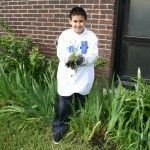 Fourth and fifth graders at Bennett raked, pulled weeds and picked up paper in the school yard. 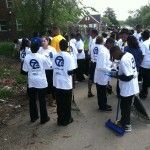 They then moved across the street to clean a vacant lot. 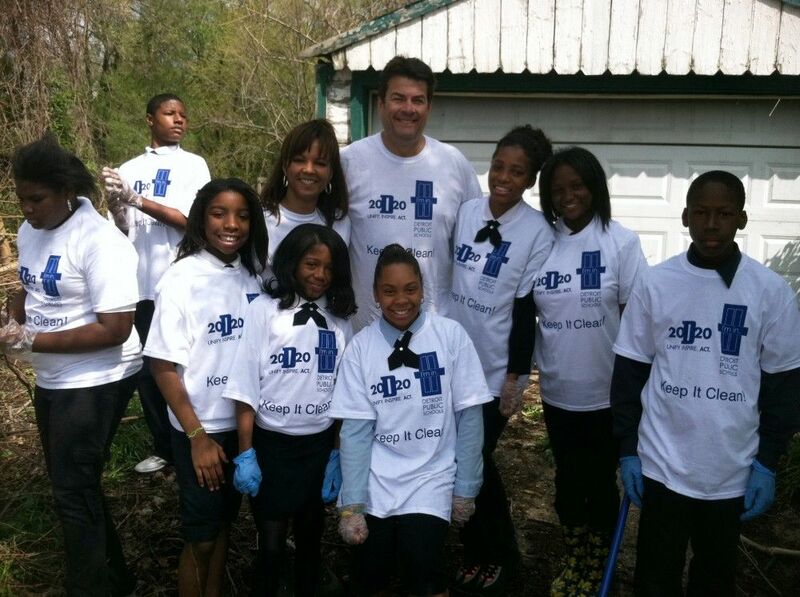 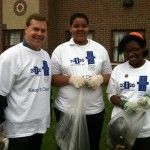 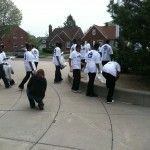 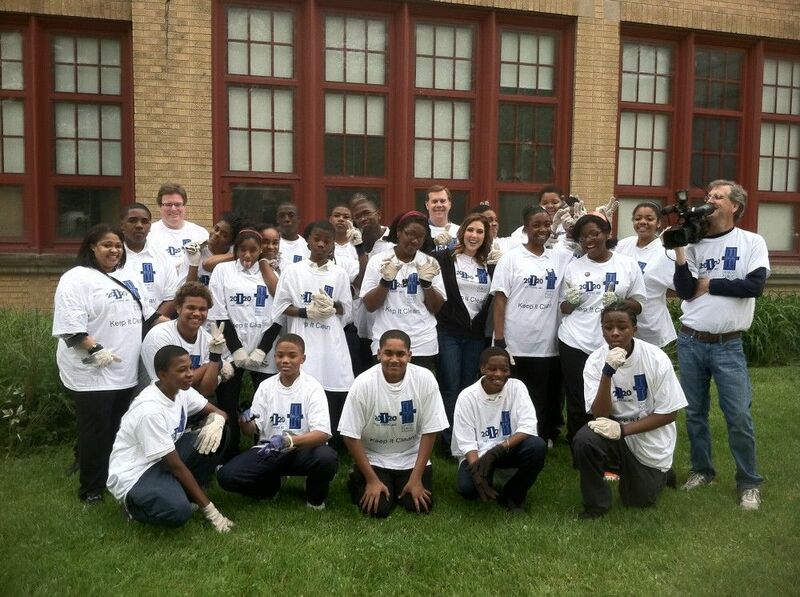 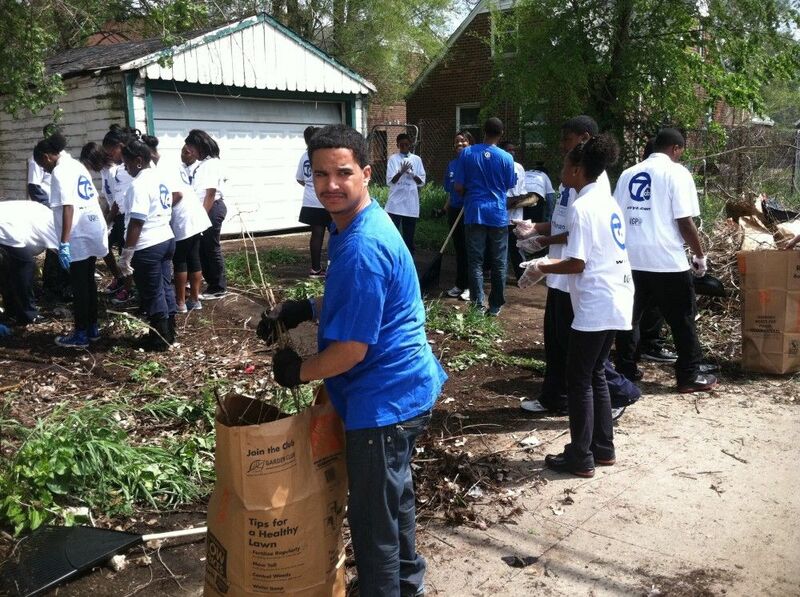 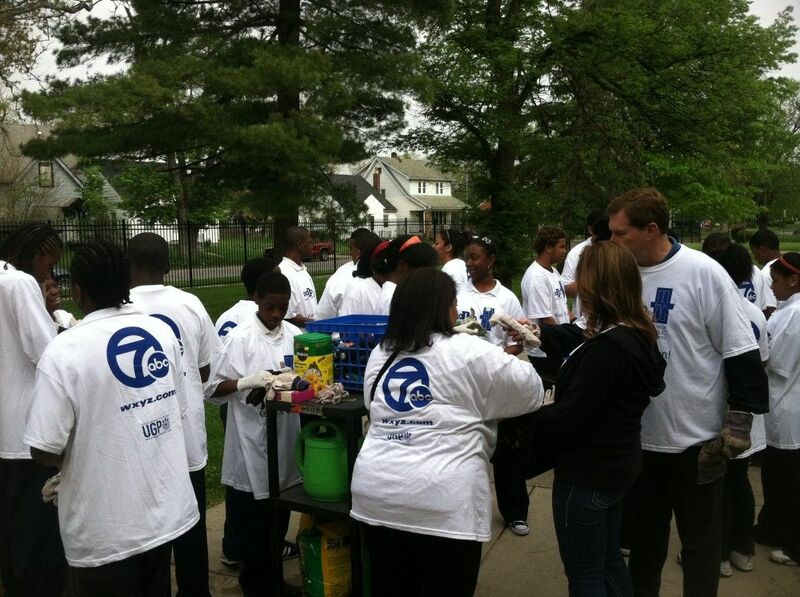 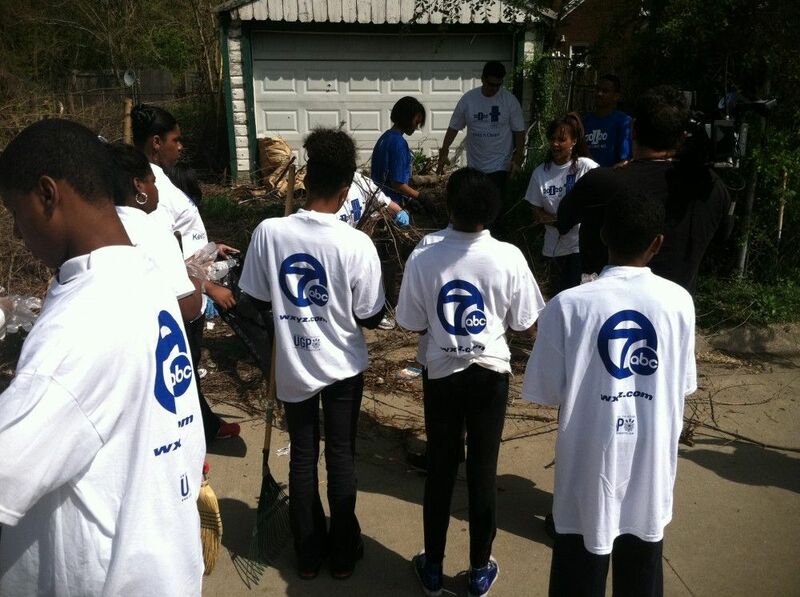 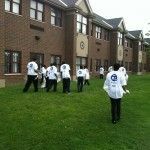 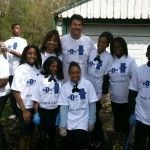 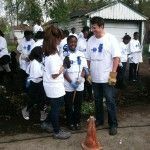 WXYZ reporter Dave LewAllen and Alicia Smith, anchor for WXYZ Action News This Morning worked with Law Academy students to clean their school grounds. 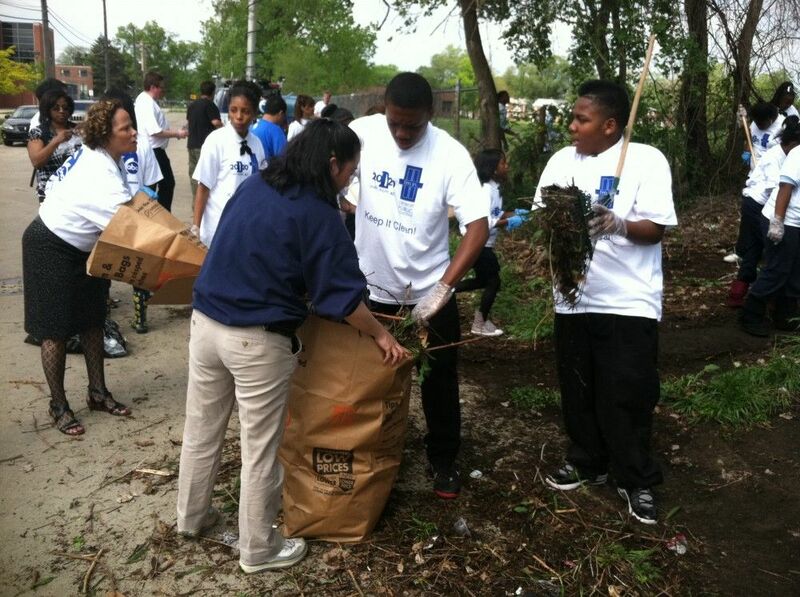 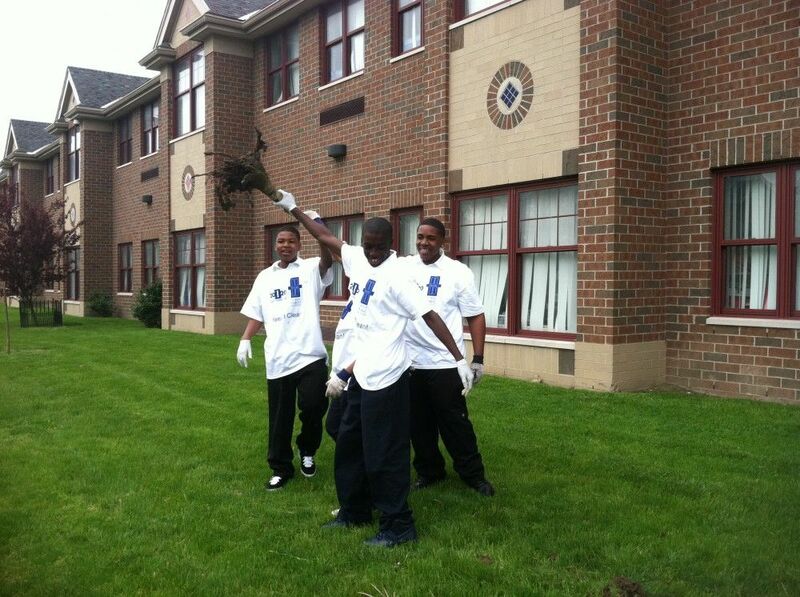 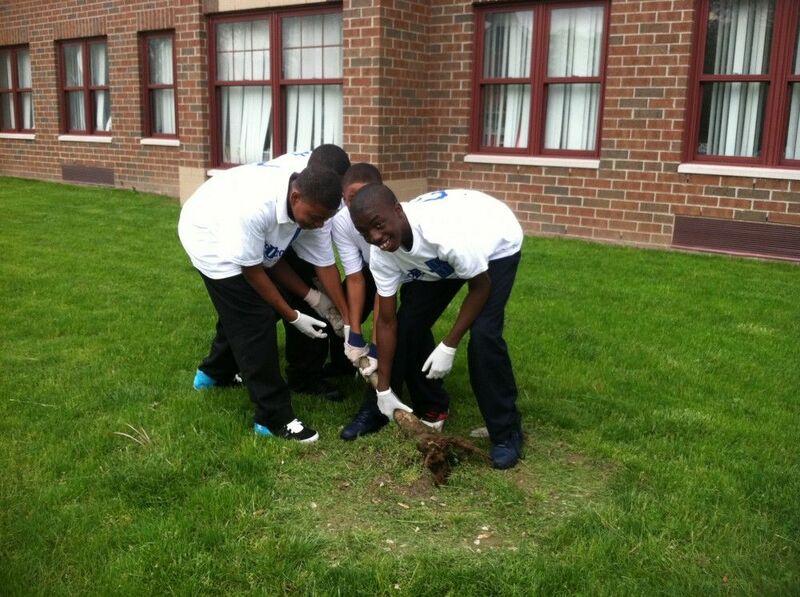 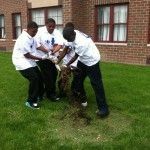 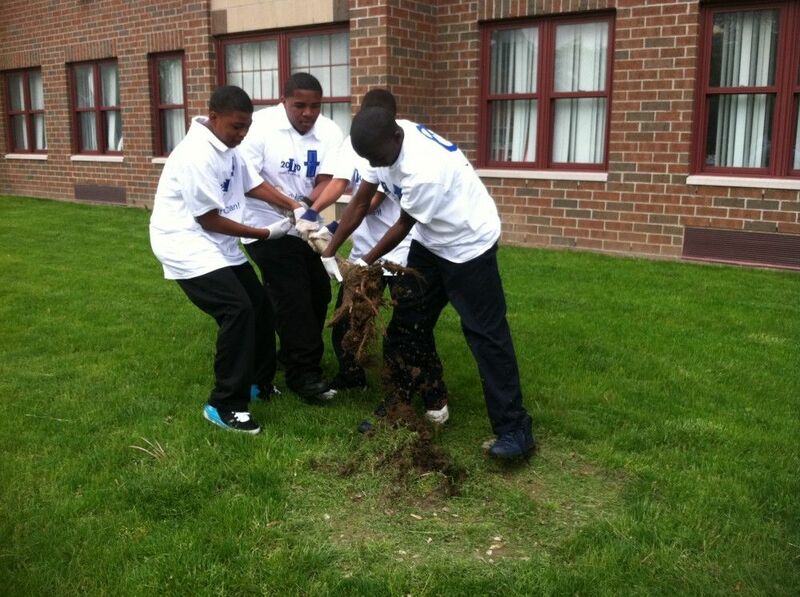 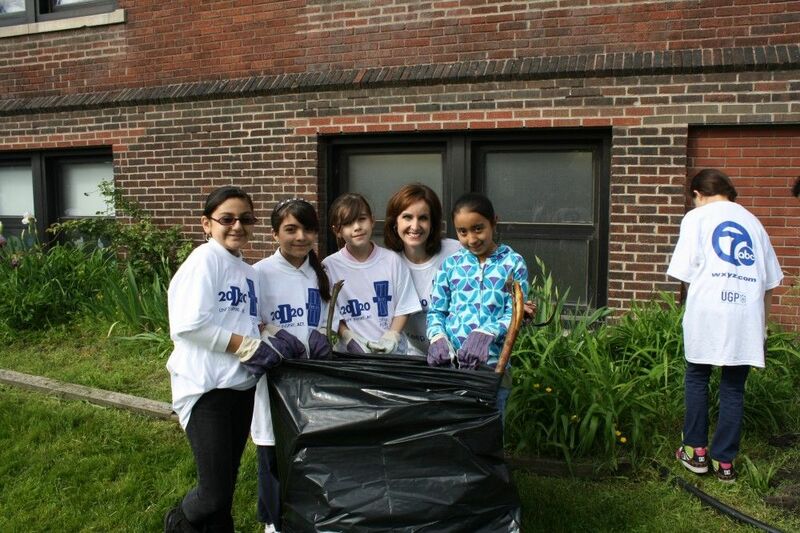 Eighth graders picked up debris and planted flowers. 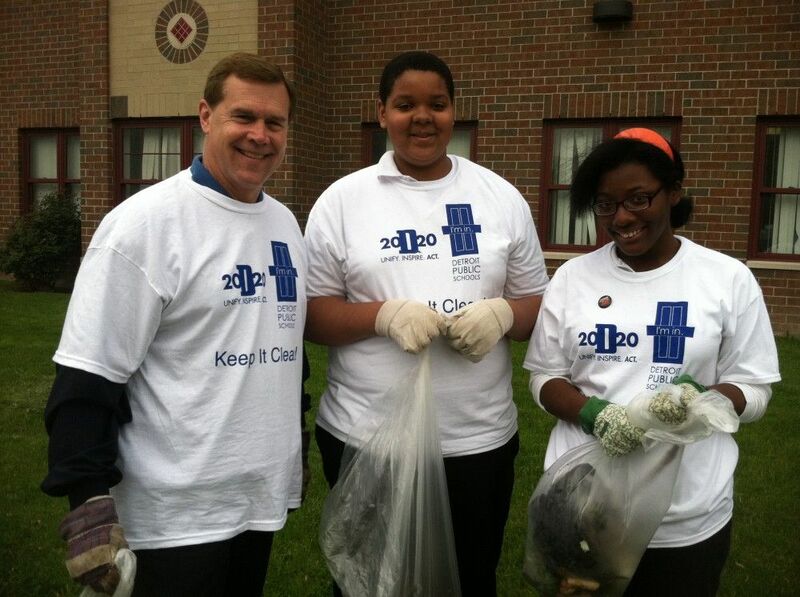 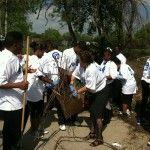 Clifford and Stephen Clark, anchor for the 6 p.m. and 11 p.m. news segments, aired live broadcasts from Shulze Academy at noon and 5 p.m. as the students completed a massive clean-up effort. 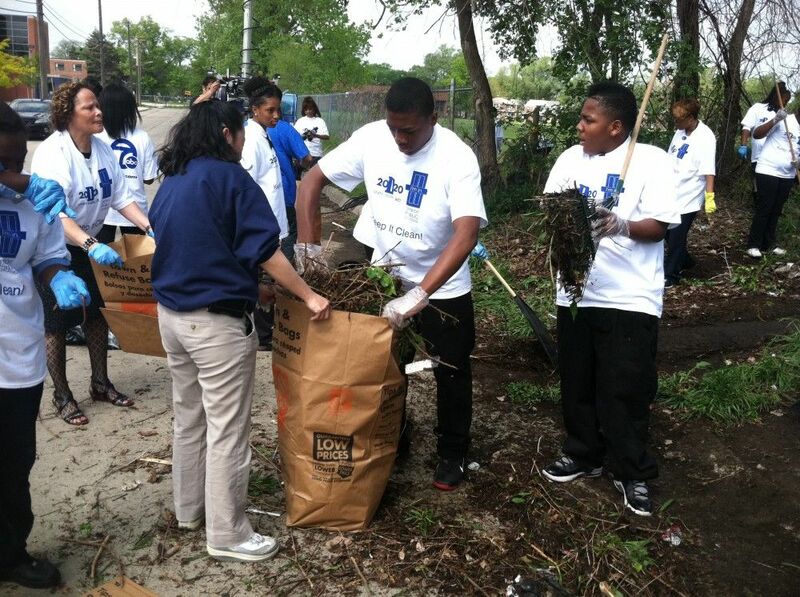 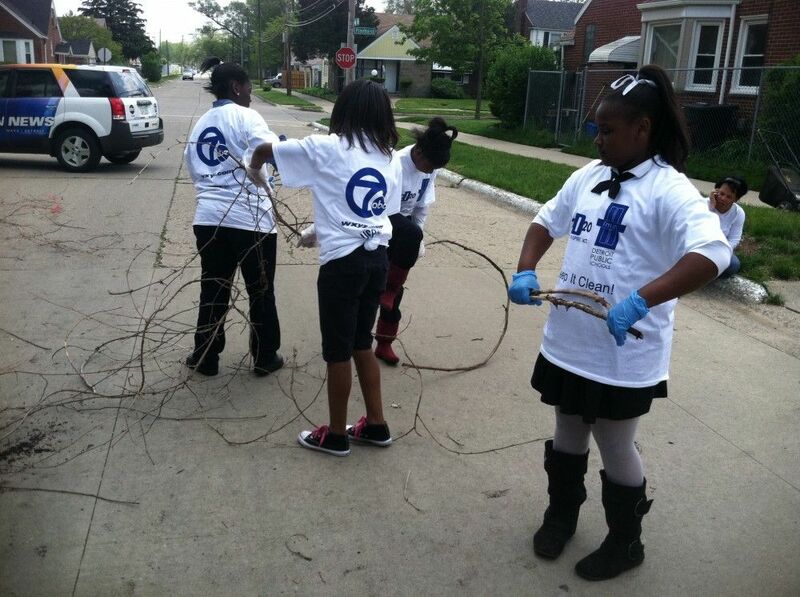 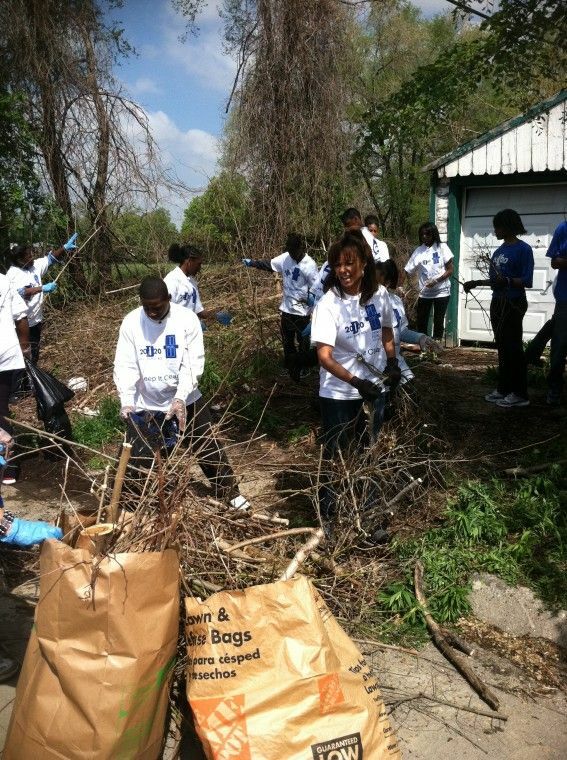 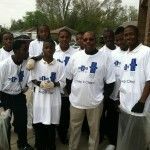 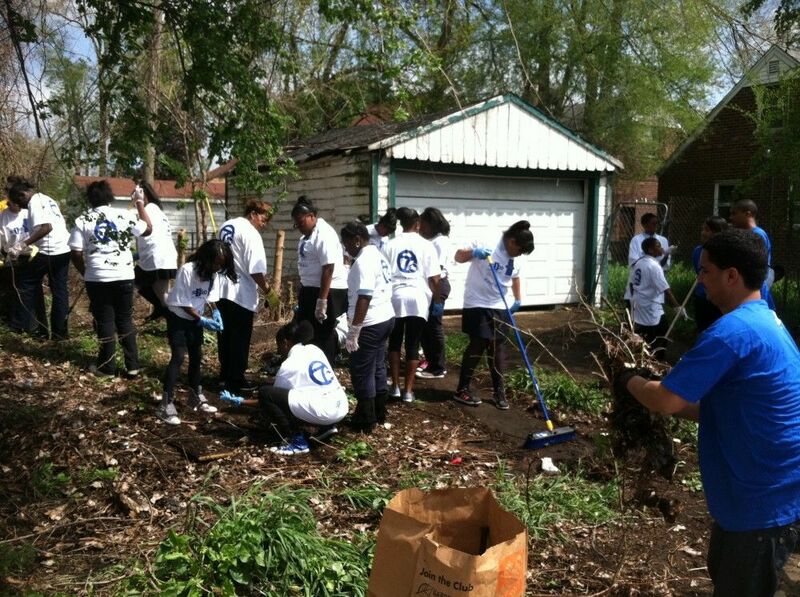 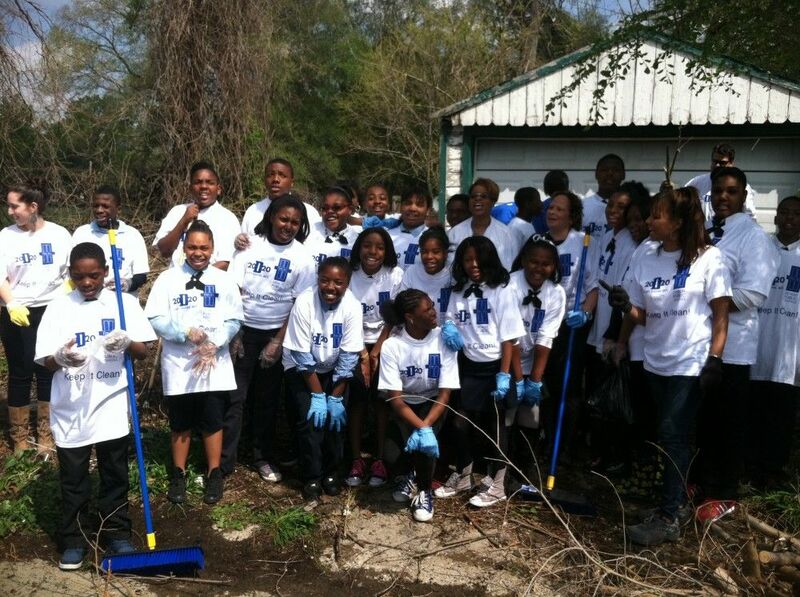 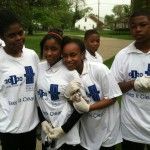 Sixth and seventh graders cleaned trash and brush from the yard of an abandoned house across from the school. 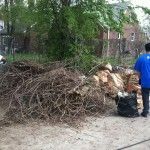 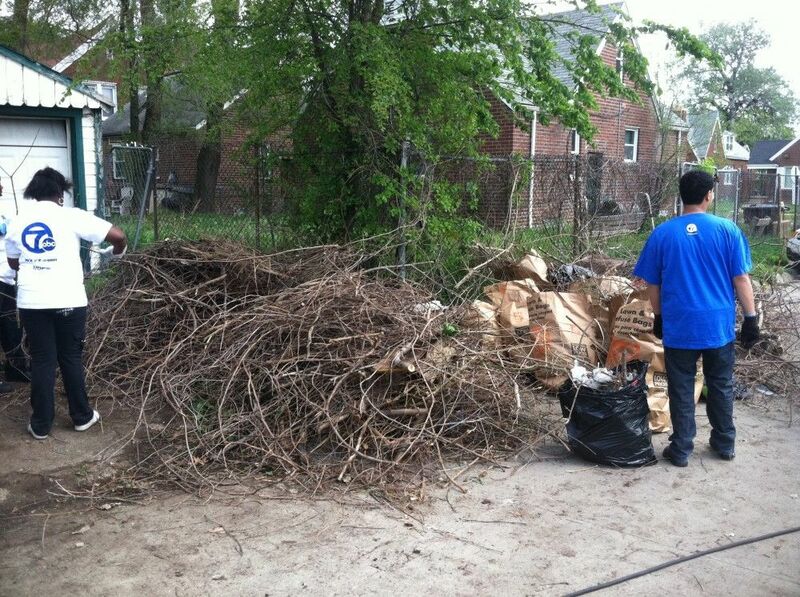 And the City of Detroit promptly sent a crew to collect the yard waste. 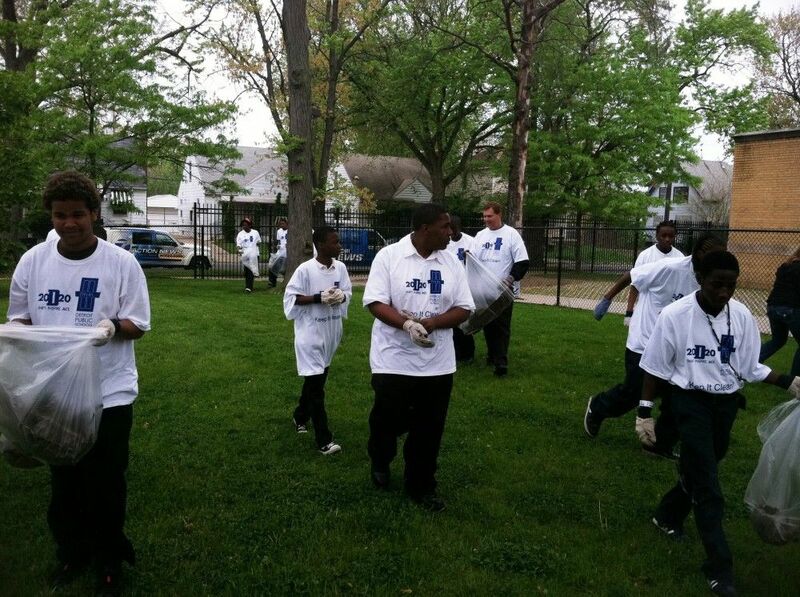 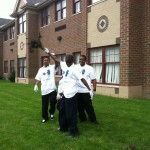 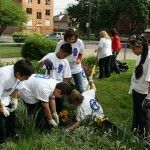 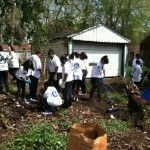 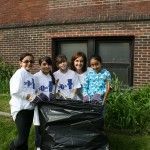 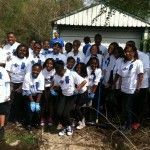 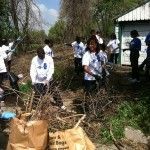 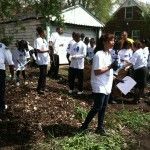 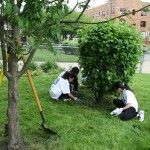 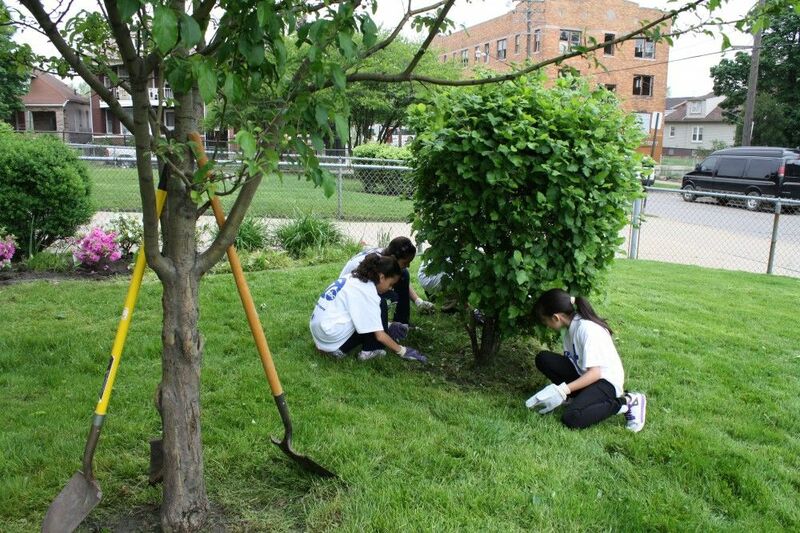 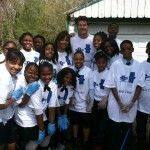 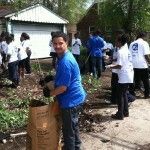 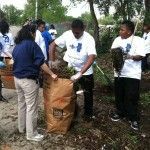 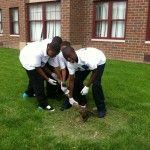 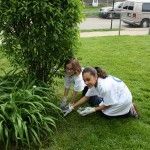 The goal behind the project is to have students keep the areas around their neighborhoods clean throughout the spring and summer and beyond. 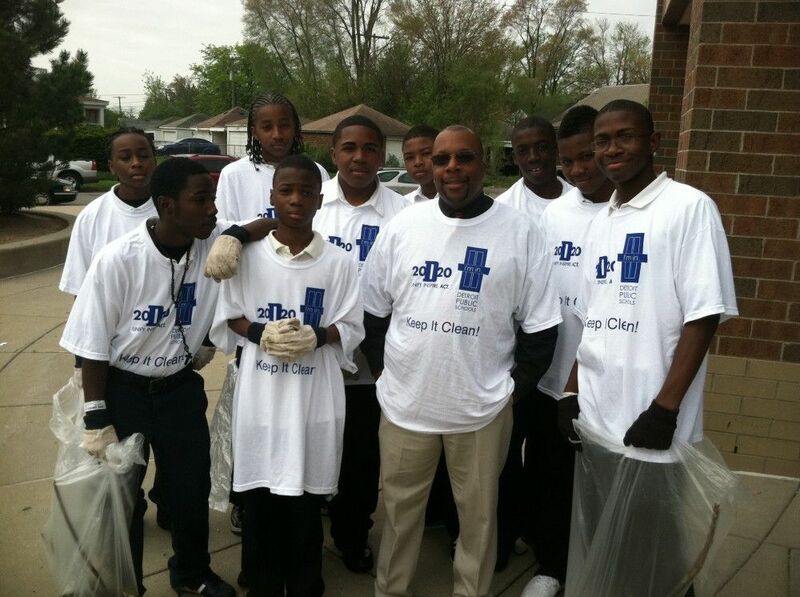 So spread the word—Keep It Clean! 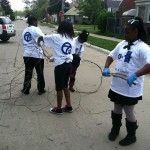 Visit www.Detroit2020.com for more details. 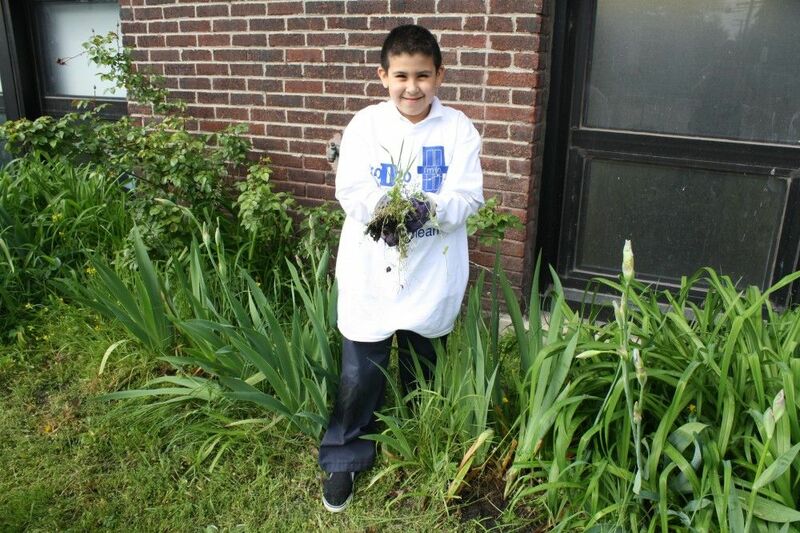 This entry was posted in News and Press Releases, Student Showcase and tagged 022, 211, 328.